A number of Apple Music and iCloud users reported sudden problems with their subscriptions on Wednesday, including cancellations, or an inability to change plans. Cancellation notices are being sent out by email, according to complaints on Reddit. 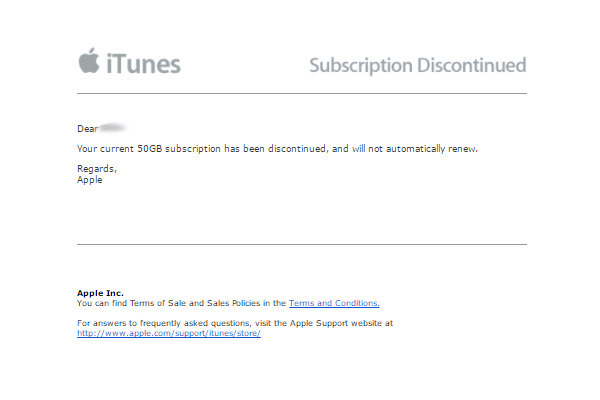 A warning for a 50 gigabyte iCloud plan was received by someone connected to AppleInsider. 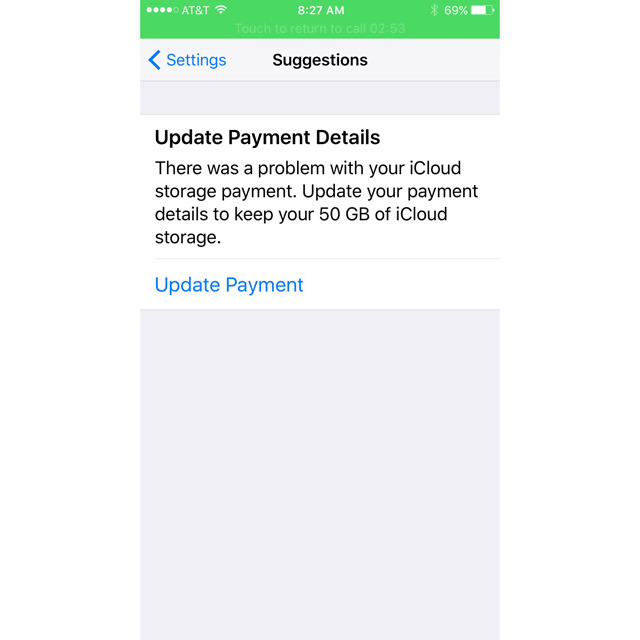 While only some subscribers are getting word of cancellations, others are seeing errors if they try to change their plan, or simply if they try to manage their iCloud data. AppleInsider received "cannot connect to iCloud" messages when trying to change plans from two iOS devices linked to different Apple IDs. The source of the current trouble is unknown, but messages seen by AppleInsider and others are asking subscribers to update their payment information, suggesting that Apple might be having trouble with associated servers. Apple's online system status tracker only mentions some people being unable to connect to Apple Music since Tuesday. Regardless the subscription problem appears to be international, affecting not just the U.S. but places as distant as Brazil and Japan. Some users have speculated that Apple could be changing up its plans, increasing prices and/or adjusting data caps. One person on Reddit claimed that they saw the 1 terabyte plan disappear, but this hasn't been substantiated by others.